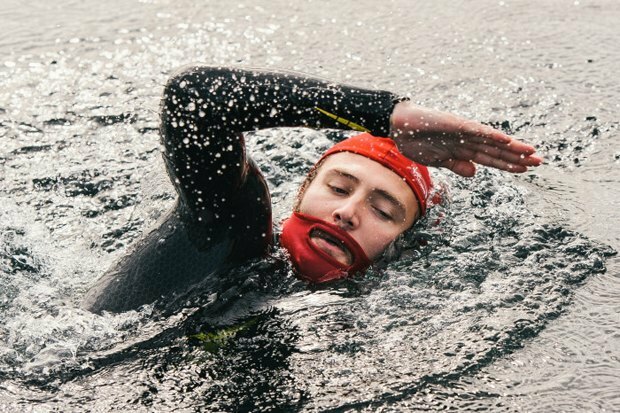 Bearded folk can finally swim without being slowed down by their bushy jawlines. Virgin Trains has launched the Beard Cap, a swim cap that extends under the chin to pull beards tight against the skin. Researchers have found that 12 percent of men feel their beards slow them down, and nearly a quarter of men feel their beards hinder sports performance. 11 percent attribute this to irritation, 32 percent to discomfort, and 42 percent feel their beards are a distraction. We figured that those competitive enough to be truly effected by impeding body hair would just shave their faces, but then again none of us are competitive swimmers with large beards.